3:45 p.m. 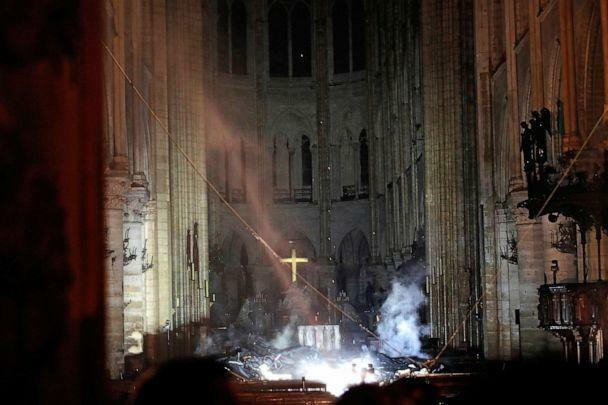 ET: The Vatican press office issued a statement expressing shock and sadness at the loss of the cathedral, which it described as a "symbol of Christianity in France and in the world." 3:50 p.m. ET: UNESCO released a statement saying it is "standing by France's side to safeguard and restore this invaluable heritage. "4:12 p.m. 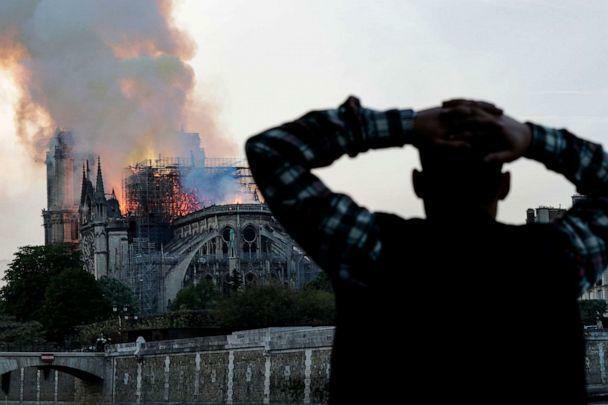 ET: The French General Directorate for Civil Security and Crisis Management tweeted that hundreds of firefighters are "doing everything they can" to bring the fire under control. Water-bombing aircraft is not being used to put the fire out because the weight could lead to the collapse of the entire structure, the agency said.4:40 p.m. 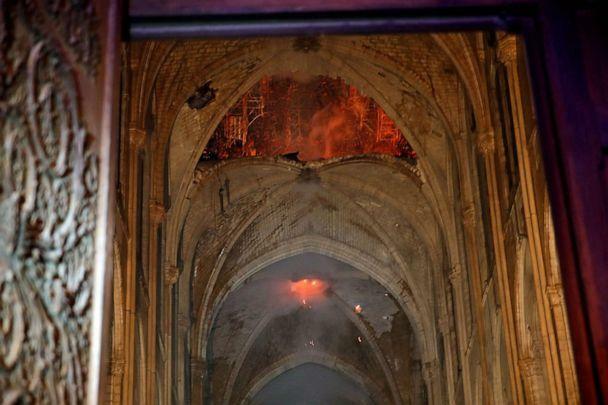 ET: No injuries have been reported, according to fire department officials. 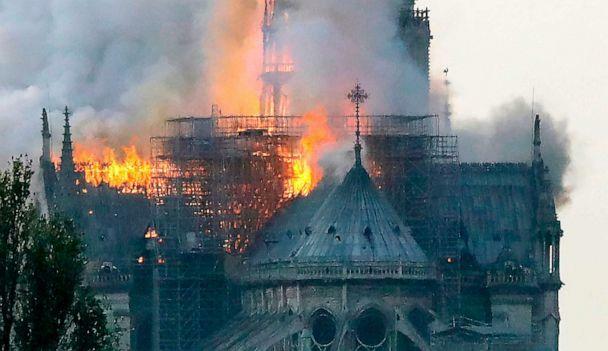 Flames have reached one of the towers and brought down the church spire that extended 315 feet high. 4:49 p.m. 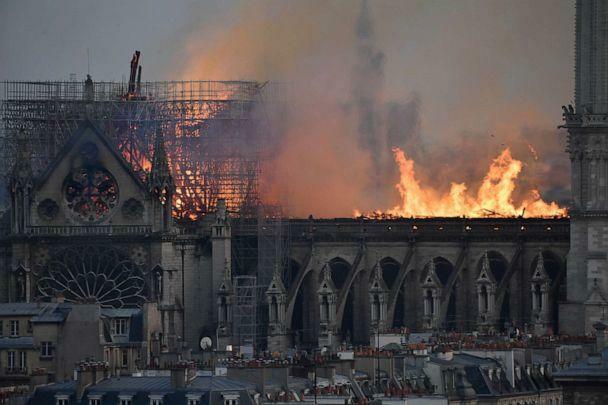 ET: All the most precious artwork being stored inside the cathedral has been saved, according to the Parisian fire department.4:55 p.m. 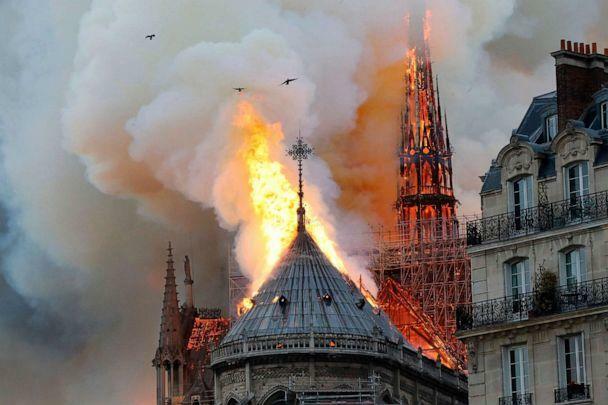 ET: Paris Mayor Anne Hidalgo said in a news conference that those living near Notre Dame have been evacuated in case the cathedral collapses.5:07 p.m. 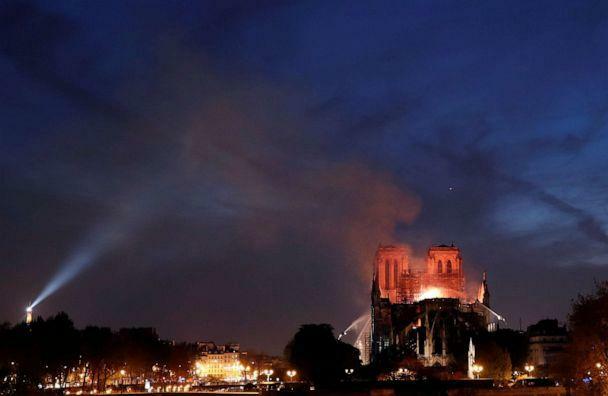 ET: A French firefighters told reporters that the main structure of the cathedral, as well as the two iconic main towers at the front, have been saved.6:06 p.m. 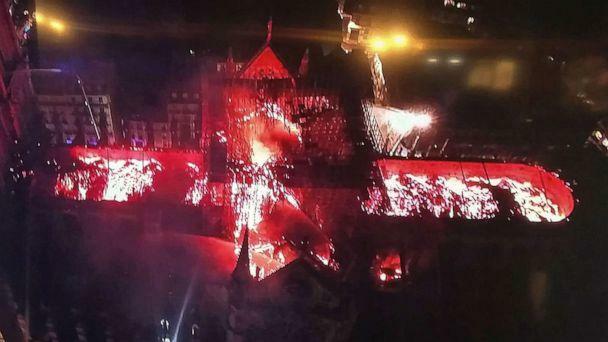 ET: French President Emmanuel Macron was visibly emotional as he addressed the media outside the Notre Dame Cathedral, describing the blaze as a "terrible tragedy."